Maintaining the perfect environment for each member of your family in your home is not always the easiest task. From regulating the temperature, being respectful of noise levels, and considering others when turning on and off lights are just of the few ways in which we attempt to make homes more comfortable. However, how you ever considered the humidity level in your house? Knowing when to use a humidifier in your home can be a game-changer, giving those who need it a much more pleasant space to live. Make sure to follow to follow humidifier best practices to ensure safety. Simply put, humidifiers release moisture back into the air when the air is particularly dry. Therefore, when deciding when to use a humidifier, consider especially dry months like those in winter. Each humidifier comes equipped with a large tank of water at the base. When this small machine is turned on, air is forced through a filter where it then evaporates some of the water in the base. This process successfully increases the humidity level in the surrounding area. Maintaining a humidifier requires very little work, as most machines today are completely self-regulating. In fact, the machine will detect the specific level of humidity at a given time, releasing more or less evaporated water as needed. Humidifiers come in a number of different sizes based on the specific needs of an individual or family. There are small, tabletop size humidifiers ideal for increasing the humidity level of a single room. A console humidifier will cover a bit more ground, maintaining a comfortable humidity level across a few rooms. Lastly, a whole house humidifier, as the name indicates, will maintain the humidity level throughout the entire house. Humidifiers are also available in cold air or warm air. Making a decision when to use a humidifier and which type between warm air vs cold air humidifiers really comes down to personal preference, as they are both equally as effective. In the debate between warm air vs cold air humidifiers, some things to consider are that cool mist humidifiers tend to use less energy because they have no heating elements, and they are less hazardous for small children. 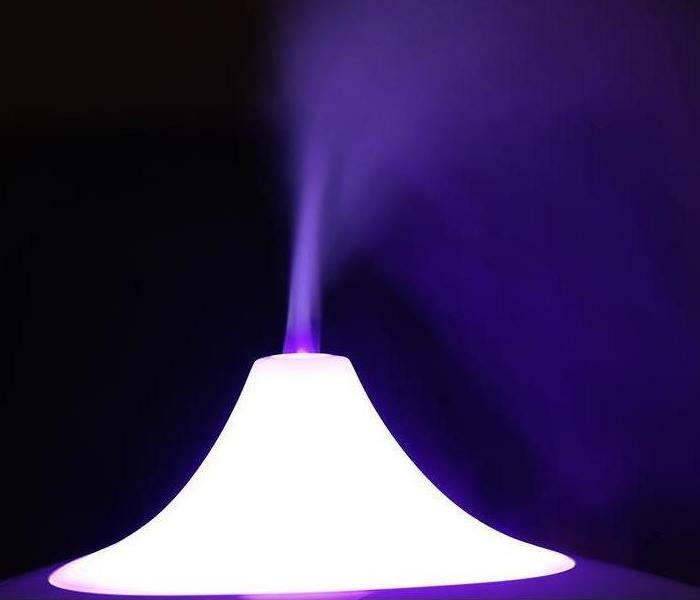 On the other hand, warm mist humidifiers are usually quieter, and can really help out on chilly winter nights. In determining if and when to use a humidifier, consider the numerous benefits they offer. For one, humidifiers can help to reduce your heating costs. Humidifiers can reduce energy costs because they not only make the air moister, they also make the air warmer as well. Because most humidifiers are energy efficient, you will use up less energy than if you were to keep your heat on. Another benefit to using humidifiers is that they can reduce experiences of static electricity shocks. Most often, we experience static shows as a result of coming into contact with dry and dusty carpets. However, when moisture is added back into the air and surrounding surfaces, this is less likely to happen. One of the most important benefits for why and when to use a humidifier is the positive impact they can have on health. It is generally recommended that the humidity level in our living spaces sits between 30% and 50%. Unfortunately, many of us to do not have humidity levels in this range in our homes. Without the right humidity level, occupants of a home are at risk for issues including respiratory irritation, asthma, and even infection. Additionally, using a humidifier can have unexpected benefits such as reduced snoring, moist skin, and fewer allergy symptoms. When to Use a Humidifier? How can you tell when to use a humidifier? While humidifiers are mostly associated with winter, you could actually need a humidifier in summer. There are a few signs you can look out for to figure out when to use a humidifier, and whether a humidifier is needed in summer or winter. If you or someone in your family is experiencing issues including chronic runny nose, sinus congestion, dry throat, flare-ups of asthma, allergy flare-ups, nose bleeds, or hay fever symptoms while inside the house, there is likely not enough moisture in the air. Also, if you notice that your skin has become drier than usual despite the consistent use of lotion, dry air may be to blame. Additionally, if your partner’s storing has kicked into overdrive, they may be suffering from the effects of low moisture in the air. Clean frequently: one of the most important practices for how to maintain a humidifier is to clean it frequently. Cleaning a humidifier is a must because harmful mold and other contaminants can begin to grow within the machine. 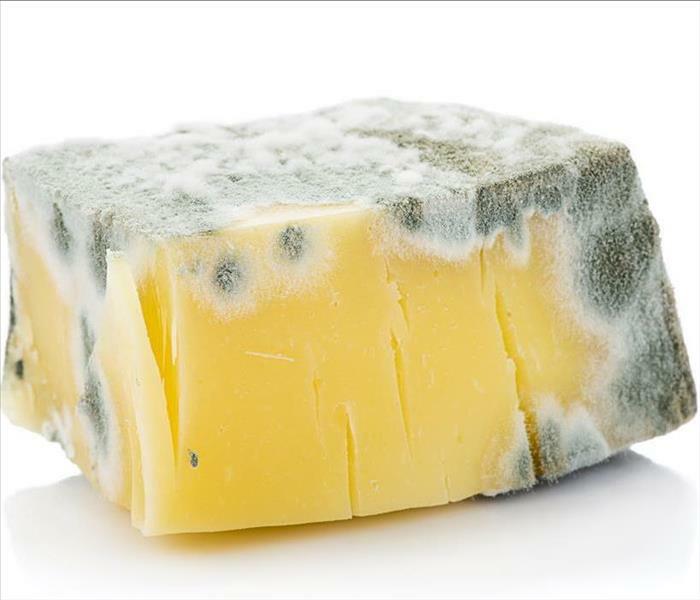 Mold grows in moist environments, and humidifiers produce moisture, so they are at particular risk for growth. For cleaning a humidifier, you can simply use vinegar, cloth, and q-tips to get into small nooks and crannies. Make sure to completely disassemble the humidifier, and let each component soak in vinegar for about 30 minutes. Each model comes with recommendations for frequency of cleanings. Use clean water: Another important best practice when to use a humidifier for how to maintain a humidifier is to always use clean water in the machine reservoir. Water can carry various levels of minerals, that, if distributed in the air, can cause bacteria and respiratory issues. Opt for cold water over warm water, as it typically contains fewer minerals. Before each use of the humidifier, empty the tank and fill with all new water. Find the right humidity level: how and when to use a humidifier in your home will be determined by how humid the air already is. If you notice condensation gathering on the surfaces in your home, the humidity level is likely too high and you should probably turn off the humidifier. 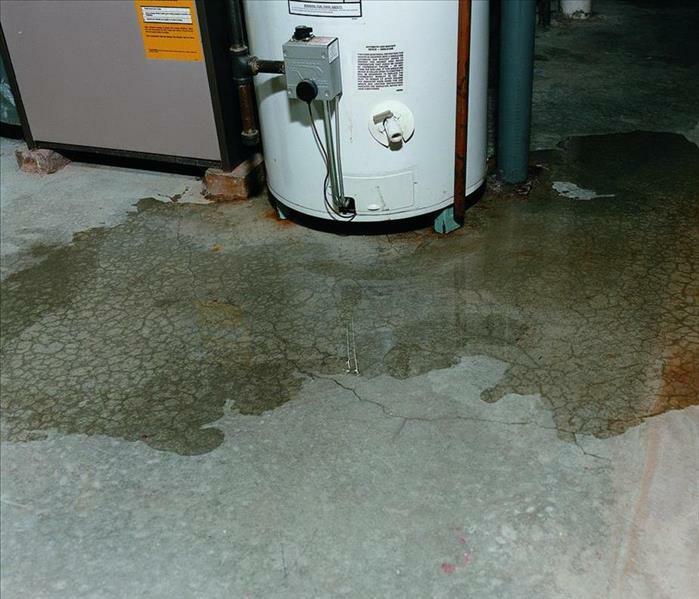 This excess moisture can lead to water damage, including nasty mold growth. A lot goes into to keep your home comfortable for you and your family. From ensuring your HVAC system is in working order for warm and cool weather to keeping your air quality strong through air duct cleanings, and everything in between. When it comes to regulating the temperature in your home, one of the most important components lying throughout your house is insulation. While there are places in your house where insulation is a no brainer, many are unsure of whether or not to add insulation to their basement ceiling. So, what are the insulation options for how to insulate a basement ceiling, and how much does it cost to insulate basement ceilings? It turns out that insulating a basement ceiling should be on your to-do list, as it will not only keep you comfortable but can also save you money on energy bills. What is Basement Ceiling Insulation? There are a variety of types of basement ceiling insulation available on the market for those asking what type of insulation for the basement ceiling to use. What type of insulation for the basement ceiling to use will depend on factors including budget, home layout, and whether you want to attempt to install the installation yourself versus hiring a professional company. Each basement ceiling insulation option for how to insulate a basement ceiling comes with its own unique advantages and disadvantages. Some of the most common types of household basement ceiling insulations used for hanging insulation in basements include batts and blankets, loose-fill insulation, insulated panels, and spray foams. Batts and blankets: The most common type of basement ceiling insulation and option for how to insulate a basement ceiling is to use batts and blankets and is the most accessible form of insulation for the average homeowner looking to do the job themselves. Batts and blankets come in roll form, making them easy to transport as needed. This type of basement ceiling insulation must be carefully stuffed into spaces around pipes, wires, and other fixtures in order to increase efficiency. Unfortunately, with this form of insulation, it’s easy to miss spots that need insulation, losing its overall effectiveness. Some of the pros of batts and blankets include easy installation, transportability, and ability to fit in and around studs, rafters, and other fixtures. Cons of batts and blankets include needing to be cut by hand, some types retain moisture, and some types are itchy during installation. Loose-fill insulation: Another option for how to insulate a basement ceiling is to use loose fill insulation, which is made up of fluffy fibrous strands that are blown into small nooks and crannies. Loose-fill insulation is primarily used in spaces such as attics and walls, though can also be used effectively in ceilings as well. Some of the pros to loose-fill basement ceiling insulation is that some forms like loose-fill fiberglass are very lightweight, can be installed by almost anyone, and loose-fill cellulose is highly effective in all temperatures. On the other hand, some loose-fill insulation is so fluffy it can lose effectiveness in very cold temperatures. Structural Insulated Panels: Next on the list of options for how to insulate a basement ceiling is to use structural insulated panels (SIPs), which are used to insulate the entire surface of a wall. SIPs are primarily used for new ceilings, walls, floors, and roofs in areas including basements and crawl spaces. Some of the pros of SIPs include that they are lightweight, highly energy efficient, and relatively easy to install. The primary con of SIPs is that they are more expensive than most types of insulation. Spray foam insulation: Finally, another common type of household insulation for how to insulate a basement ceiling is spray foam insulation. As the name tells, spray foam is adhered in liquid form and then expands to fill cracks and gaps, thereby preventing air leaks. The main pros of spray foam insulation is that it is very effective in stopping the movement of air and moisture because it so securely fills cracks and gaps. Cons of spray foam is that for this type, hanging insulation in basement typically requires professional installation, which raises the price. Because adding insulation is an investment, before figuring out the steps and options for how to insulate a basement ceiling you might be asking yourself, why is insulating a basement ceiling important? The answer is that an uninsulated basement inevitably leads to some level of heat loss. When heat is lost out of your home, especially when your heat is turned on to keep your home warm, you’re wasting energy and increasing pricey energy bills. This happens because warm air seeks out cooler spaces, so the warm air pumping into your living spaces above will begin to flow into the basement where it is cooler. The air then in turns seeks out even cooler spots, heading towards outside where it is colder. When insulation is in place, the warm air is not able to escape and will circulate back throughout desired areas. Once of the most important factors in how to insulate a basement ceiling is the actual cost to insulate basement ceilings. When making the decisions, homeowners need to compare how much they’d spend on energy bills without insulation with the cost to insulate basement ceilings and the expected benefits that will result. 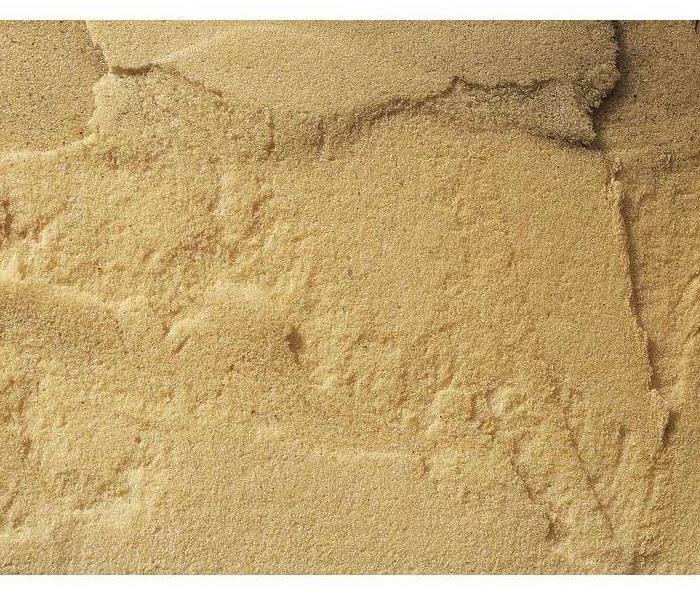 While the exact dollar amounts for energy bills with and without basement ceiling insulation vary from house to house, in general, most homeowners have found a decrease in their energy bills following the installation of basement ceiling insulation, making the initial investment cost to insulate basement ceiling worth it. mold growthThere are so many areas of the home to care for, and there’s no denying that most of our attention is focused on the living spaces we use most regularly. However, it’s important to keep an eye out for issues lurking in the spaces we visit less frequently, especially the basement. Basement areas are particularly at risk for a number of reasons, especially for water damage. One problem many homeowners face is a clogged basement floor drain. So, what is a floor drain and what are the steps for how to clean a basement floor drain? Read on to learn what is a floor drain, how it gets clogged, and steps on how to clean a basement floor drain. Having a stronger understanding of what is a floor drain can help you best prevent clogs. Basement floor drains serve an important purpose, which is to act as an outlet for any water that enters the area. For example, condensation for your heating, ventilation, and air conditioning (HVAC) system, water leaking through the foundation of your home after a heavy rain, or water draining from the water heater all rely on the floor drain to prevent flooding. An effective floor drain is situated at the lowest point in your home to facilitate the flow of water and is typically connected to your house’s sewer system. In some cases, a floor drain can also be connected to a sump pit or sewer pit outfitted with an ejector pump. In these cases, the floor drains lead to a pit that uses a pump to lift the water outside of your home. What Causes Basement Floor Drains? The most important question to ask when wondering how to clean a basement floor drain is what actually caused the clog in the first place. It may come as no surprise that a basement drain clogged with a buildup of dirt or debris is the most common issue. Over time as your floor drain drains water flowing into your home from various sources, dirt and debris will begin to build and result in a basement drain clogged with an obstruction. A main line clog can occur in different spots within the floor draining system, such as the house drain, house trap, or house sewer. Another issue that can occur with a basement floor drain, is that you could experience water coming up through the basement floor drain. Water coming up through basement floor drain can happen when a heavy rainstorm leads to a surcharge in the drain system. The surcharge could also take place in the public sewer system. Either way, you could be left dealing with water damage. One of the most obvious signs of a basement drain clogged up and in need of cleaning is a backup of water that won’t flow down the drain. If you notice standing water around the floor drain in your basement, it is not in working order and likely has a clog that requires cleaning. When a basement drain is clogged in your home, it’s important to address this issue as soon as possible, as standing water can lead to water damage in your basement, including water damage to your floors and walls. Additionally, water damage is a primary cause of mold growth and is common in basements due to their typically moist environment. A basement drain clogged and resulting in mold growth is a serious risk to individuals living in a house, as ingesting or inhaling certain types of allergenic and toxigenic molds can lead to respiratory issues. Another risk of water damage caused by clogged floor drains is structural damage. When wood and other surfaces become wet, they lose durability and can start to break down. Another sign of a floor drain that needs to be cleaned is an unpleasant floor drain odor. This unmistakable floor drain odor will be obvious, and will likely smell like the sewer your floor drain connects to. Once you have your materials gathered, you can take the following steps for how to clean a basement floor drain. First, using the screwdriver remove the grated top accessible on the floor of your basement. In most cases the floor drain cover is secured by screws, however, you may just be able to lift the top off using just your hands. After the cover has been removed, conduct a quick inspection of the drain, examining for any buildups of dirt or debris. This is an essential step in how to clean a basement floor drain, as most backups are caused by debris. With rubber gloves on, work to clear out as much gunk as you can and disposing of what you pull out into the plastic bag. The next step is to flush out the drain using your pot of boiling water. After pouring down the boiling water, let it sit for about 15 minutes. For a homemade floor drain cleaner, sprinkle in some of the baking soda to coat the sides of the drain, then pour in the vinegar. The vinegar will effectively kill bacteria and remove the unpleasant odor. You should let the vinegar sit in the floor drain for about ten minutes. Once it’s done sitting, rinse the vinegar out using more boiling water. It may be necessary to repeat these steps a few time to get all of the gunk and odor out of the floor drain. The final step in the process for how to clean a basement floor drain is to clean the drain cover, then replace using the screws you removed. It is a good idea to clean the floor drain on a regular basis to prevent future clogs and minimize the risk of backups and water damage. Dirty Air Ducts: When Is It Time For An Air Duct Cleaning? As a homeowner, there is so much to stay on top of in order to keep your house in working order to keep you and your family safe and comfortable. While it’s easy to keep up with tasks that you can see, like dirty laundry and vacuuming, what about those parts of the house that need attention, but are out of site? We’re talking about your heating ventilation and air conditioning(HVAC) system. It’s true that many homeowners give little thought to the condition of their HVAC systems simply because the intricate network of tubing and fixtures lies within the ceilings and walls of most houses. But did you know that issues like mold growth in central AC unit, high energy bills, and respiratory issues can all occur because of dirty air ducts? For this reason, it’s important to conduct regular checks and maintenance around your HVAC system. Read on to learn how to tell when it’s time for an air duct cleaning, and what steps to take if you think you need one. What exactly are air ducts anyway? Air ducts are the circulatory system of your house that allows for the distribution of hot and cold air as needed throughout the various spaces of your home. Most air duct systems are built within the ceilings or walls of a home for aesthetic reasons. There are two primary types of ductwork available for homeowners to choose from: flexible and rigid ductwork. Flexible ducts are usually made of a wire coil that is covered with a bendable plastic, that is then fitted with a layer of insulation. Flexible ductwork is most suitable for spaces where a little give, or flexibility, is necessary. Flexible ducts are a little easier and quicker to install than rigid ductwork, and also cost less. Rigid ductwork can be made from a variety of materials including, fiberglass, fiberboard, and sheet metal. As the name hints, rigid ductwork does not offer the same flexibility of flexible ductwork. Rigid ductwork can be constructed in various shapes and sizes but is known for being particularly strong and durable. Do Air Ducts Need Cleaning? You may be asking yourself do air ducts need cleaning, really? The answer is yes. Remedying dirty air ducts is important for a number of reasons. For one, dirty air ducts can waste energy and lead to higher energy bills. This happens when a significant buildup of dust and debris in your ductwork makes it more difficult for air to flow into living spaces to keep you comfortable. When this happens, your HVAC system must work harder than usual, expending energy it wouldn’t have to if the dirty air ducts were clean. As you can imagine, the more energy the system uses, the higher the bill you receive each month. Another important reason to keep your air ducts clean is that with dirty air ducts health problems are likely. This is because debris and dust coming from air ducts can result in respiratory and allergy problems for anyone living in the house. When your HVAC system is engaged, and the air is flowing, dust can become airborne. When the dust coming from air ducts is inhaled, it can irritate the body causing symptoms such as coughing, sneezing, wheezing, itchy eyes, sore throat, and more. In particular, with mold in air ducts, health problems are a risk. Mold in central AC unit is common, because of the moisture produced. If you suspect mold in central AC unit, contact a professional as soon as possible. A final reason why it’s important to keep air ducts clean is that regular maintenance prevents costly repairs in the future. Having dirty air ducts taken care of gives you or a professional the opportunity to inspect the components of your HVAC system to ensure everything is in working order. When issues are caught early, you can save yourself from hefty repair bills. So how can you tell if you have dirty air ducts in need of cleaning? Keep an eye out for these tell-tale signs. 2. Mold growth. Dirty air ducts health problems are a real risk. Believe it or not, visible mold growth can be a sign that your air ducts need cleaning. Mold growing in and around vents is a strong indicator that you have dirty air ducts, and you should call a professional immediately to remediation. In addition to vents, mold in central AC unit can happen as well. When the AC unit is engaged, it can produce moisture that in turn leads to growth of mold in the central AC unit. Without remedying mold in air ducts health problems can result that can become dangerous. 3. You don’t remember having an air duct cleaning. If you can’t remember the last time you had your air ducts cleaned, or even if you’ve ever had them cleaned before, you likely have dirty air ducts. Fortunately, it is only recommended that you have an air duct cleaning once every 5 to 7 years. However, you’re likely to remember this process taking place. If you don’t remember your last air duct cleaning, make the call to schedule an appointment. Dust coming from air ducts, mold growth in components of the HVAC system, and pricey energy bills are no joke. If you spot any of the signs of dirty air ducts mentioned, contact a professional air duct cleaning company today to schedule an appointment. Specialists will conduct an examination to determine the extent of dirt in your air ducts, then create a comprehensive plan to get your ducts in like-new condition again. Cold weather preparation of your home is extremely vital in making sure that you can enjoy the winter months. There is a lot to look forward to during the cooler months. However, without properly preparing your house for winter weather, your time could be spent making costly repairs to your home as a result of cold weather instead of enjoying fun activities. Making adequate preparations in and around your house is key. But just where do you start? Use the following cold weather tips for home to get your home ready to take on the cold without suffering any damage. Protect the Pipes: One of the most important cold weather tips for home is to protect the pipes in your house. When water freezes, it expands. During cold weather, the water in your pipes can freeze and expand, resulting in cracked or completely burst pipes. Additionally, you may experience a burst pipe when water builds up behind a chunk of ice. Burst pipes can cause extensive damage in your home, including water damage to walls and floors, flooding, and mold growth. But just how to protect pipes from freezing? To prevent frozen pipes, there are a few cold weather tips for home to take. First, disconnect and drain any hoses sitting outside. Store the hose safely for the winter in a warmer space such as a garage or basement. Next on how to protect pipes from freezing, insulate any exposed pipes to regulate temperature and prevent them from bursting. Another on the list of cold weather tips for home for your pipes is to drip faucets. If wondering how many faucets should I let drip, it depends. A good rule of thumb is to let hot and cold faucets in bathrooms and kitchens drip. 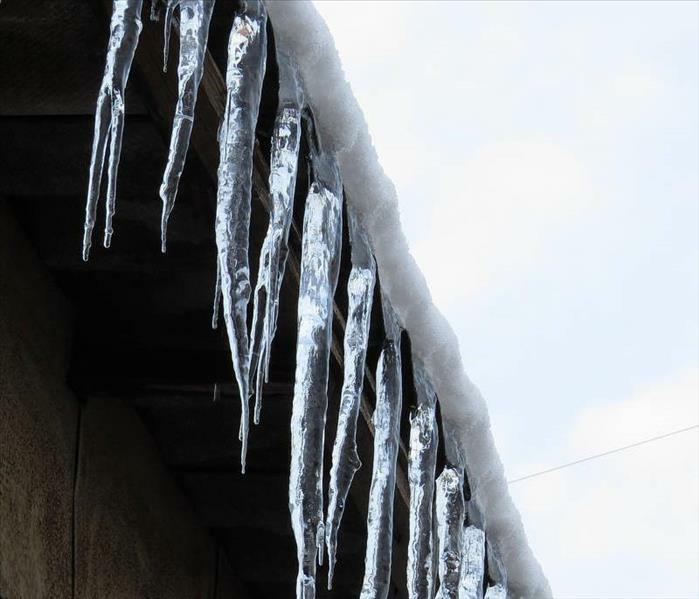 Clear Gutters: When gutters are not cleared during cold weather, they can form ice dams. Ice dams are created when heat from the roof melts snow on top of it, which then drains to the edges of the house and refreezes. When gutters and downspouts are clogged with leaves and other debris, water cannot properly drain and will instead flow through cracks leading into your home. Key to preparing your house for winter weather is to clear gutters so that water can successfully drain from the roof and away from cracks in the roof and in the foundation of your house. Mind the Fireplace: Who doesn’t love a warm fire in the winter? Preparing your house for winter weather also means that before you light up, you should make sure the fireplace and chimney are clean. If debris is left in the fireplace or chimney, it can potentially catch fire and cause a serious threat to your personal safety and home. If you are unfamiliar as to how to properly clean your fireplace and chimney, enlist the help of a professional chimney sweep to get the job done. Check Heating Sources: In preparation for cold weather, among the top cold weather tips is to check that your heat is working properly. This entails checking your furnace by engaging the blower. 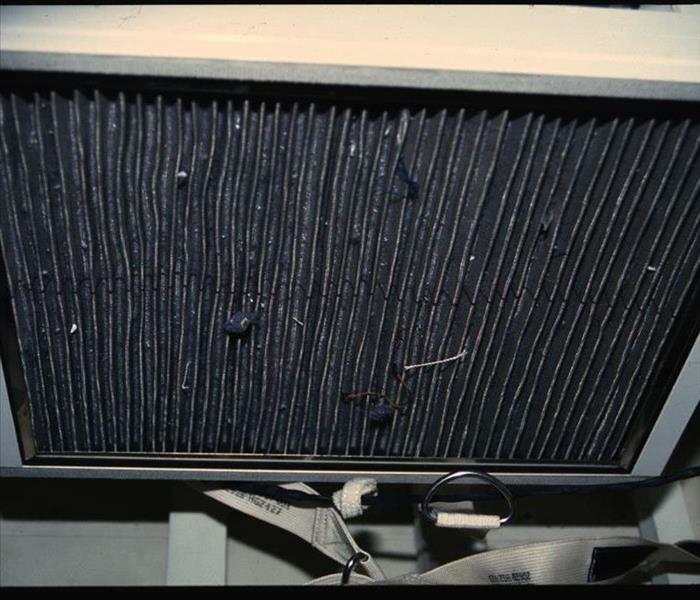 You will also want to change the filter in your furnace as the start of the cold weather season, then every few months after. Without a properly cleaned filter, your house won’t warm up as efficiently. Further, check that your HVAC system is clean and free of dirt and debris. If not clean, dirty air ducts can cause harmful contaminants to circulate throughout your home when your heat is turned on. Check for visible dirt on air vents, one of the most obvious signs of dirty air ducts. Install Smoke and Carbon Monoxide Detectors: During the winter months, your home is at a higher risk for house fires if you enjoy using your fireplace, candles, and cooking large holiday meals. Because these winter activities involved the use of open flames, one of the recommended winter home maintenance tips is to make sure smoke detectors are all in working order to keep your family safe in the event of a fire. Also, make sure to install a carbon monoxide detector. The risk of carbon monoxide exposure increases during winter months. What makes this gas particularly dangerous and lethal is that it has no color or odor. Inspect Your Roof: In many states, with winter comes snow and rainfall. This can leave you at risk for flooding and other types of water damage if there are any cracks or holes in the roof of your house. Also important for preparing your house for winter weather is to make sure to inspect your roof a couple months before the winter weather sets in to ensure you have enough time for any repairs. Water damage can be particularly unpleasant, leading to mold and a pricey restoration process. Seal Windows and Doors: Among important cold weather tips for home and cold weather tips for apartments is also to seal windows and doors. As you can imagine, cracks or holes in and around windows and doors can cause cold air to get in, and warm air inside your house to get out. Caulk around windows and fill gaps under doors to help save on heating costs. As the weather warms, many Atlanta residents treat their home to a thorough spring cleaning. As windows are washed, and closets cleared of last season’s garments it is a great time to keep an eye open in case microbial infestation is an issue. Catching mold colonization early on allows our mold remediation team to eradicate a current problem and help homeowners avoid future involvement. Mold damage in Atlanta need not create a panic. Homeowners reading about the dangers of mold in the media should understand that fungal growth is manageable if properly trained experts follow procedures developed by the Environmental Protection Agency (EPA). Our mold remediators use this protocol, containing and removing mold employing plastic sheeting or negative pressure air scrubbers to prevent spores and other moldy debris from entering clean areas of your home. Bagged and discarded mold creates no more problems you eliminate the moisture that saturates organic surfaces in your home and fuels mold growth. SERVPRO mold experts know where to look for likely fungal incubators in your home. When cleaning out a cabinet or closet during your spring blitz, check walls and joints where the ceiling connects. Mold grows regardless of light, so a damp front hall closet or under sink cabinet are perfect places for it to multiply. Take a climb up to your attic or uppermost living area and look for staining, damp areas, and that unmistakable musty smell. Failing roofs and flashings can let just enough water inside to provide a feast for mold spores. Move outside and gaze critically at your gutters and downspouts. SERVPRO technicians have plenty of experience tracing water damage from a battered set of gutters inside walls. Mold grows in peace between the interior papered or painted surfaces and the exterior cladding. Clogged drainage systems fail to direct water away from a foundation, and excess precipitation seeps inside a slab or crawlspace. Anywhere moisture collects mold spores use as opportunistic growing mediums. Note the symptoms as you complete your spring cleaning chores and let us help you with the treatment. SERVPRO of Southwest Cobb / Cascade awaits your call to (770) 739-2355 if you expose mold activity during your annual spring cleaning. Our experienced crews quickly remediate active colonies and help you devise a plan to avoid ongoing mold growth. Data About the Capital right here. 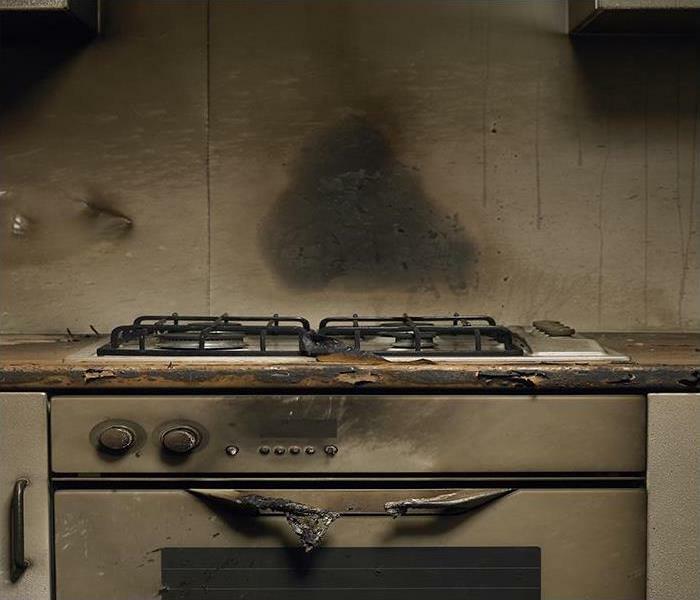 Remediation services are mandatory after a fire damage incident if you want to salvage your items and prevent further damage. Remediation services are mandatory after a fire damage incident if you want to salvage your items and prevent further damage. Cleaning is part of the restoration process, and the goal is to break the bond that binds the dirt to the surfaces. Chemical action, mechanical action, lubrication, suspension, and dispersion are the significant cleaning actions which can help you dislodge different smoke particles when you face these challenges in Atlanta. Our SERVPRO technicians usually use mechanical actions before carrying out other cleaning actions when attending to fire damage incidents in Atlanta. The procedure can dislodge non-greasy particles from surfaces before using solvent-based cleaning agents. If we want to make areas slippery during cleaning, then we can opt for lubrication. This procedure weakens the bond between the surface and the smoke residues. In a few cases, it might be necessary to chemically alter the dirt adhering to surfaces through chemical actions when cleaning. For instance, we might use such procedures when removing oxidized stains from woolen fabrics. Dispersion and suspension are also useful cleaning procedures when cleaning areas with soil particles. Another essential procedure that our SERVPRO technicians carry out is deodorization. The goal of this method is to remove odors from the building. The most significant challenge with the smells is that they do not come from the same source. We start by removing the materials causing the odor before we can spray the deodorants. After that, we can use detergents that have antimicrobial abilities to clean surfaces with odor-causing particles. Deodorants also sterilize surfaces and prevent the possibility of mold growth. If move-outs are necessary to make the restoration process more efficient, our SERVPRO team is ready to do the work. Sometimes, move-outs can help in protecting your contents from potential damage during the remediation process. For instance, some materials may absorb moisture if there is high humidity in the area, so we move them out until dehumidification is complete. At SERVPRO of Southwest Cobb / Cascade, We're Faster To Any Size Disaster whether fire, mold, storm or water-related. Call us at (770) 739-2355 industry proven services that you deserve. Click here for more about the city of Atlanta. Window AC units are not made to last forever, if your unit fails and causes water damage in your home call SERVPRO to help. When you think about your Atlanta home, there are likely many convenience appliances that come to mind to help you live more comfortably. While these might seem like typical staples of the modern home, without the proper preventative maintenance and occasional forward-thinking repair work, some of these appliances can make your life anything but convenient. Take for example the air conditioning units hanging in the windows in various areas of your home. 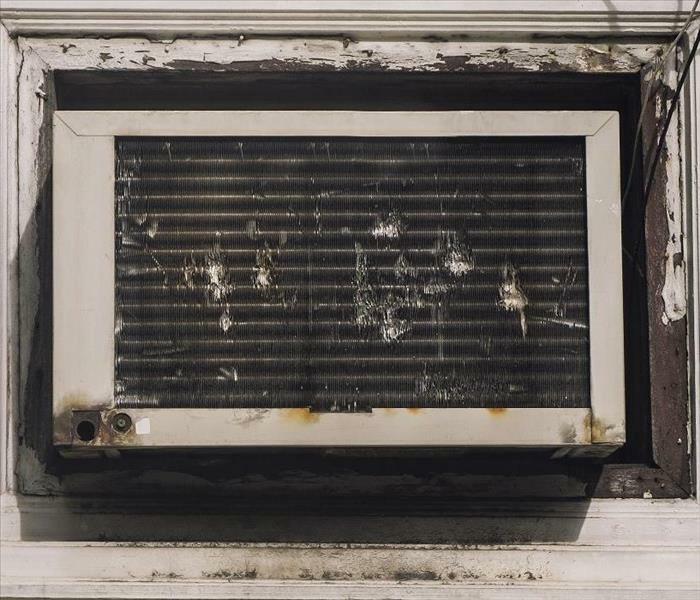 With the water that has to pass through the system from both condensation and the natural production of cooled air, a malfunction to your air conditioning unit could result in substantial water damage to your Atlanta home. If one of these units were to malfunction, it stands to reason that removing it from the area might prove to be a difficult task. Fortunately, there is often only a finite amount of water in one of the units at any given time, meaning that at worst, the water eventually does stop pouring out of the appliance. The best thing that you can do for the sake of your home and the structural integrity of areas like your floor supports might be to contact our experienced SERVPRO professionals. When our team arrives at your home, the quick initial assessment determines the full scope of the possible damage and helps our technicians to determine the best approach to giving you lasting results. While these circumstances might not always warrant the use of portable pumps and wet-vacs for extraction purposes, they always require drying tools at our disposal. Our drying processes have to be complete and thorough because leaving any trace of lasting moisture could permit the growth of mold in your home. For instances where the water is often explicitly confined to the floors and supports, drying mats get used to penetrate deeply below the thin layer of aesthetic flooring material to entirely dry the region and provide peace of mind from fungal growth. While you might be among the majority that utilizes convenience appliances like air conditioners heavily throughout the warmest months of the year, you should understand that these machines do not get designed to last forever. If they do break down, spilling high volumes of water inside your home, as a result, contact SERVPRO of Southwest Cobb / Cascade. Our experienced emergency response team is available 24/7 at (770) 739-2355. Click here for more information regarding Atlanta. 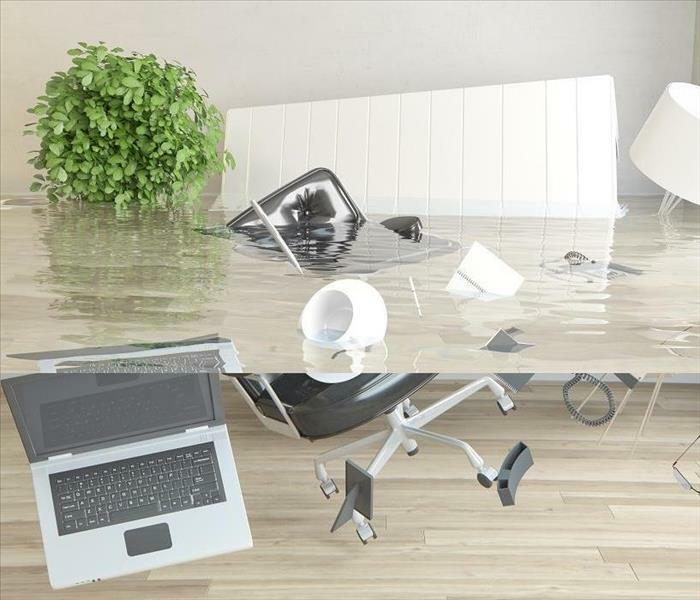 Call SERVPRO as soon as you discover standing water in your office space to get your doors back open quickly for your employees and customers. When your Atlanta office building suffers from a water emergency, there are so many concerns that you circle back through in your mind. Ultimately the best thing that you can do to ensure that your doors can reopen quickly is to entrust the cleanup and restoration to a professional, but how do you know that this is the right decision for your business? The office building that you oversee in Atlanta might be in need of water removal, but have you stopped to consider what this means for the business? For starters, much like any business in any building, customers and clients are heavily relying on your doors being open and your services being available whenever they need them. Without this, you are running a severe risk of losing profits while you mull over the best approach to deal with your substantial water damage emergency inside. In this digital age, no matter what profession or service that you offer to the public, your reputation is everything. The trouble with the instantaneous exchange of information that has been made possible through the advancements of the internet is that the longer your doors remain closed, the more that your reputation is going to suffer from those with a harsh opinion and a keyboard. That is what makes expedient restoration a necessity, and that requires professional expertise like our SERVPRO team. Another critical consideration that comes with your water emergency and its apparent need for professional SERVPRO restoration services is the employees that depend on the company. You likely have an entire staff of individuals that rely on their positions within this company to support themselves and their families. The longer that they are kept away from work due to a water emergency, the more displeased they become and the more each of them struggles financially. You should not sit on a water emergency in your facility for very long. The longer that standing water and moisture get permitted to sit in one place, the more likely that structural damages and mold damage could result. Contact us at SERVPRO of Southwest Cobb / Cascade at any time to help you clean up and restore your office building. Just call (770) 739-2355.
good and bad ways. When severe weather damages a home or other property, acting quick can help to reduce related damages. develop. These include mold and mildew growth, secondary water damage, wood rot of structural beams, and damage to wiring, personal belongings, and electronic appliances. Our Green Fleet is Faster To Any Size Disaster, including flooding catastrophes. After receiving a call, our team leaves almost immediately to ensure we lose no time in starting the mitigation work your property requires. We keep our equipment in excellent shape and always ready. 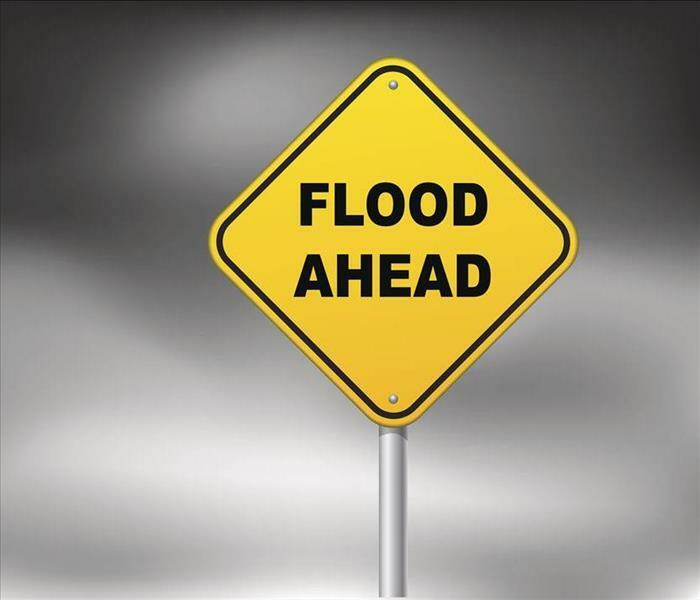 Because floods carry harmful and injurious items with it, we recommend that you always keep contact with the water and any saturated materials to a minimum. Hazards that did not exist inside your home before the flood can also develop. Electrical hazards and broken portions of trim can remain hidden until after an injury occurs. Because of these hazards, our technicians wear personal protection equipment (PPE). Our other equipment centers on mitigating the flood's havoc. Pumping happens quickly, and we follow this up with additional extraction methods. Making sure that your home becomes dry swiftly means we can also begin checking for damage to areas of your home and removing those areas that require restoration. We do our best to keep this minimized, as reparative work carries a smaller financial burden, gets completed much faster, and eliminates the need to match replacement materials. your kitchen protects your family's health upon your return. Furniture City and surrounding areas. Information on this area by clicking here. 2/11/2019 - Dirty Air Ducts: When Is It Time For An Air Duct Cleaning?